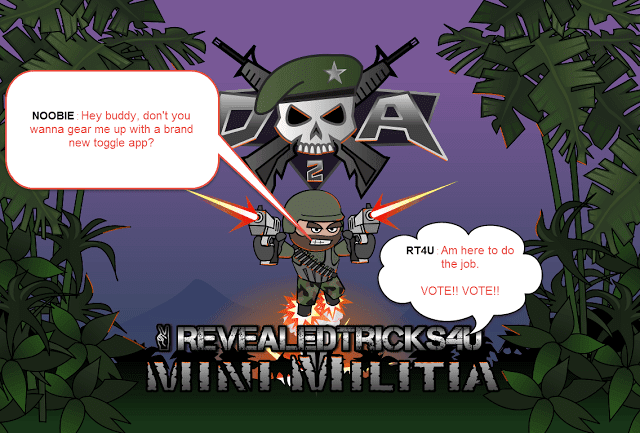 Home / android / featured / minimilitia / vote / [VOTE RESULTS] - No root version of Toggle Mod for Mini Militia - RELEASED! 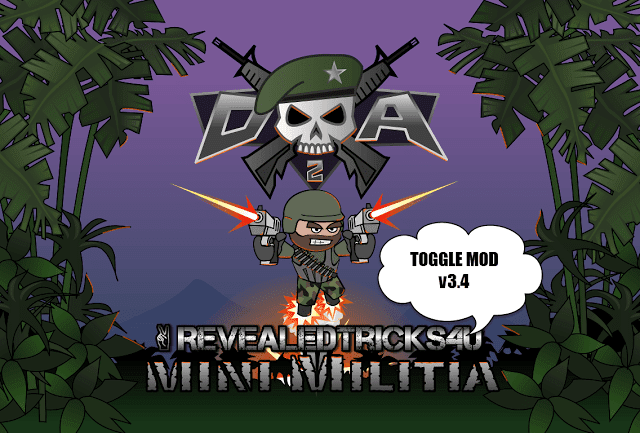 [VOTE RESULTS] - No root version of Toggle Mod for Mini Militia - RELEASED! Am really amazed to see, how active you guys have participated in the voting procedure. And, made the whole thing a success by showing your thoughts as votes. At last we've a clear winner. The number of "Yes'es" breaks the record of max limit of 200 yes'es. And, I'VE DECIDED TO START WORKING ON THE NO-ROOT VERSION OF THE APP AND SET TO BE RELEASED AROUND 10/07/2016. Thanks to everyone who had participated in this polling, and for being in good sport.  That's already in my ToDo list, and will be added in the future releases. Hey today is 31/7/2016 still u haven't release non root toggle mod? hey promise keeper, what happen...? its 11/07/2016 yet not released the non-root mod. WHY? Sorry for disappointing you, the no root app will be released within a week from this comment's date. Reason for the delay will be explained in the post. Sir its 12 July now, when u will be releasing the non rooted version of mod! Its 1st of august now when is the non root toggle mod coming out ? Hey, please don't release a non-root version bcz if you did so then every other noob will start using unlimited health and will cause so much chaos in game. After that game developers might have to take a drastic step to stop these hacks, then no one will be able to use hack and they might even sue you. Game modding is not illegal buddy, I am not doing anything wrong against their property or any other utilities they provide. It's their job to build a robust system, which detects cheaters and ban them accordingly. You have so good knowledge then why you are wasting in these stuff!! You have written "don't forgot that I am such a nice person, you are dealing with :)"
I think its not possible !? How to change .so file in non rooted phone ?? When there's a will, then there's always a way ;). Bro its 30/7/2016 today . Still you don't released it. why bro. release it soon. Am waiting. I couldn't keep my promise, once again. I am really apologizing for the inconvenience caused. All happened because of some serious health issues, which drove me crazy for days. The app will be released as soon as I recover from all my health problems. U still didn't upload non root toggle mod it's 30/7/2016 when u r gonna upload it? When will it launch? Means after how many hours? What happened to you bro? its 31st today,,,when will it be released then???? What happened bro today is 2/9/201.